Set in a 1900s Victorian Villa , a sunny room with a bay window welcomes you. 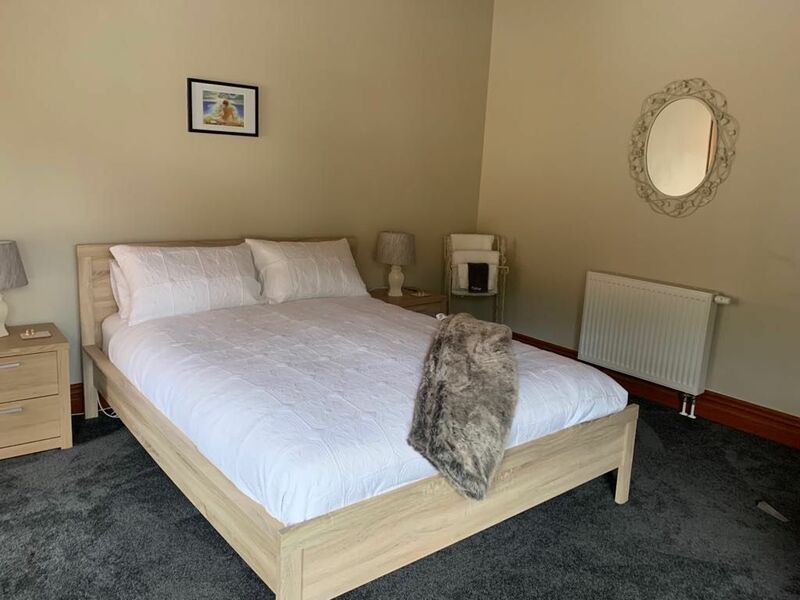 You will have your own bathroom, tea/coffee facilities and own mini fridge, native timber and Stain glass windows accentuates the room, new carpet adds comfort and warmth , A shared balcony is an ideal space to relax and enjoy a good book or glass of wine. Alternatively two comfy chairs provide a quiet space indoors with a garden outlook . Queen bed with goose down duvet to snuggle down after a busy day.